Forecast is 24 for our location tonight. Nothing really blooming here, so no real concern. I put my newly potted apples in the shed yesterday, might bring them inside tonight. Then back outside for the rest of the week. No freezing temps forecast for at least the next week, and only a bit of rain Thursday. The national weather service says we had a tornado on the ground less than 1/2 a mile from my house. It blew all 3 of my whirleybird vents completely off my roof as well as a little wooden structure (don’t know what its called) that my weather vane sits atop of. Lots of Trees and limbs down too. Rain was blowing sideways and hard as could be. All that being said, I neither saw nor heard a tornado and damage in the area they say it hit is just metal roofs blown off barns, nothing like you’d expect from even a small tornado, so I’m not sure they got it right. Oh well, could have been worse. I’m much more worried about the freeze tonight! Here we go again. I got hit hard by the two 13 degree nights about 3 weeks ago. What wasn’t blooming or about to bloom then is doing so now, and they are predicting 26 degrees tonight. Unbelievable! Very sad, but such is life. @subdood_ky_z6b I’m amazed that you still don’t have anything blooming since we are not THAT far apart. 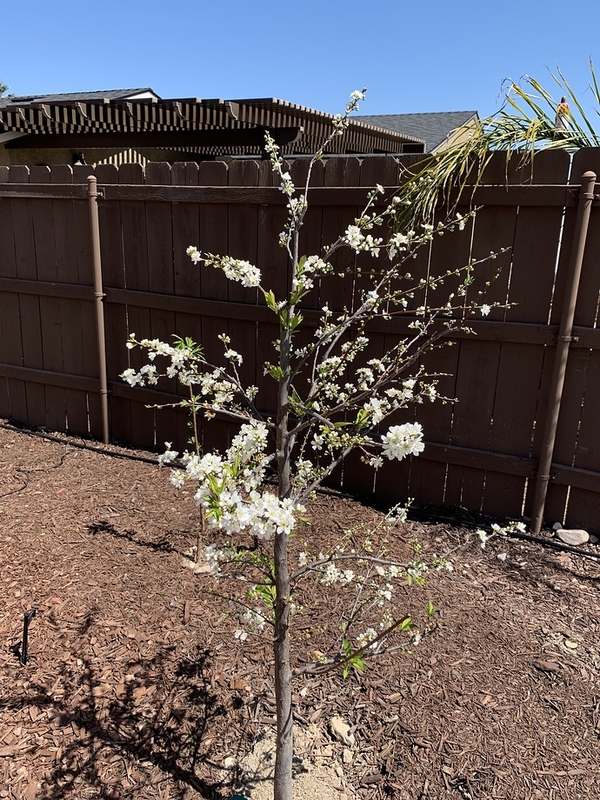 All my stone fruit have already bloomed or are blooming right now, so are my pears. Even a few apples have bloomed now here and persimmons are all swollen up. Glad you aren’t going to get hit too hard by tonight’s freeze. 85 today in Southern California!! Well, there are some fruit buds on a couple of my pear trees that are close to opening up it looks like, but not fully “open”. My big pear tree has some leaves showing, but no fruit buds, but I don’t know if there will be any such buds this year on it. And some of the peaches have very few buds at what I think are first pink, plus one apple tree, an Alkmene, has what looks like some pink on it, but nothing open. All the other apples are still pretty quiet, which is normal for this time of year. Yes, we are close in miles, but are at least a half, if not a full zone difference. And it has been a long cold winter here, with not a lot of warm weather other than the last few weeks. Tonight will be in mid 20s, but nothing below freezing for a week after that. But, I’m not so sure we won’t get a 20 degree night in April. I think our average last freeze day is in mid April. We have even had freezes in two of the last three May’s. That’s why I’m starting most of my indoor veggie starts so late (next week), because of this. Someone closer to my area, like @Hillbillyhort, @BobC, @MikeC could maybe weigh in with their trees’ activities. Sunny, but still way below where we should be. GH showed a chilly 42F this morning. I pour some in the tank and then run it through the sprayer. Once I can see the stuff (the RV antifreeze I use is pink) coming out the wand, I know it’s good to go. GFs showing snow late week now across NE Iowa/SW and S wi and SE Mn… maybe 1 to 3 inches or something. Get it over with. Anyone in the east thinking of putting out the veggie garden early this year? The long-range forecasts are showing a very warm April. May 1 is my last frost date but its looking like I could plant as early as this coming weekend. They can have it…forecast here calling for upper 50s and sun at the end of the week. Supposedly into the 60s by the weekend. It snowed yesterday a bit, barely enough to make bare ground white. 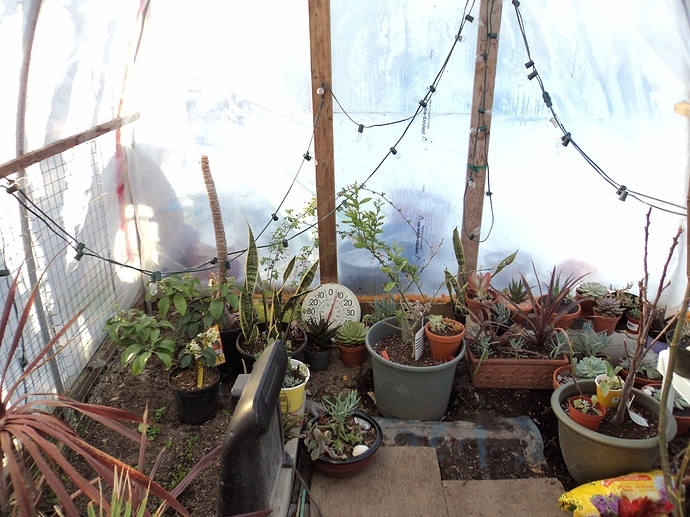 We have had a freeze in May here the last two of three years, so we are waiting until at least May to plant out. I haven’t even started my indoor seeds, but will next week because they’d be too big by our plant out day if I had started them in March. I haven’t even plowed or tilled our plots since the soil’s still too cold, and a bit wet. I think I will plow though, in a couple weeks. Some folks near us have already plowed. You are maybe safer with an earlier plant out, but there’s always a risk before May. Your soil may still be a bit too cool for certain heat loving plants like tomatoes and peppers. It sounds like your last frost date must be later than mine? I have never had a May freeze. This year it seems like the warm spell is good timing for an early plant out, for the mid-atlantic at least. Got to 24 here this morning, yes, cold, but none of the trees are really totally awake here. No more freezing temps for another week after today. Our average last freeze is April 20, I’ve been here for five garden seasons, and the earliest we’ve planted out is the first of May. The last two years that was delayed until late May, mostly because of the soil being too wet. You might be OK, you’re definitely in a warmer zone than us. Instead I am working for others all week except grafting today. I might put some lettuce/cauliflower in the ground here as soon as i can.